In a horrific day for the men’s singles seeds at the Rome Masters, Roger Federer and Stanislas Wawrinka crashed out of the tournament here on Thursday. The third-seeded Federer’s injury woes continued as he looked far from his best to stumble for a 6-7 4-6 defeat at the hands of unseeded Austrian Dominic Thiem. Federer never looked comfortable on court during his 78-minute stay. His serve was unusually ineffective, and was consequently broken once each in both sets. 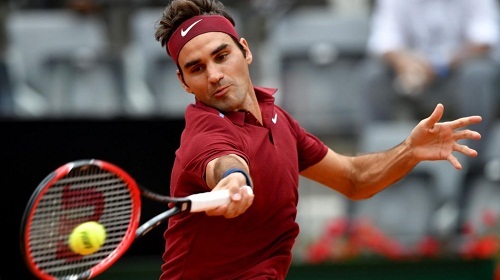 Later in the press conference, the Swiss divulged that although he’s hopeful of recovering for the prestigious Roland Garros – which begins from May 22 – he could well give the tournament a miss if he continues to feel this hurt. Later in the day, Federer’s countryman Stanislas Wawrinka also bowed out of the tournament following a 6-7 6-3 6-4 defeat to Argentine Juan Monaco in two hours and 24 minutes. This is not a good sign for Wawrinka heading into the Roland Garros, as the defending champion suffered his second early exit on clay in as many tournaments. Elsewhere, fifth-seeded Rafael Nadal survived a scare from Australian powerhouse Nick Kyrgios, as he rallied from a set down to clinch a 6-7 6-2 6-4 win. Up next, the Spaniard is likely to square-off against World No. 1 Novak Djokovic in what would be a blockbuster battle in the last-eight stage.